Wow. What a busy month it’s been! 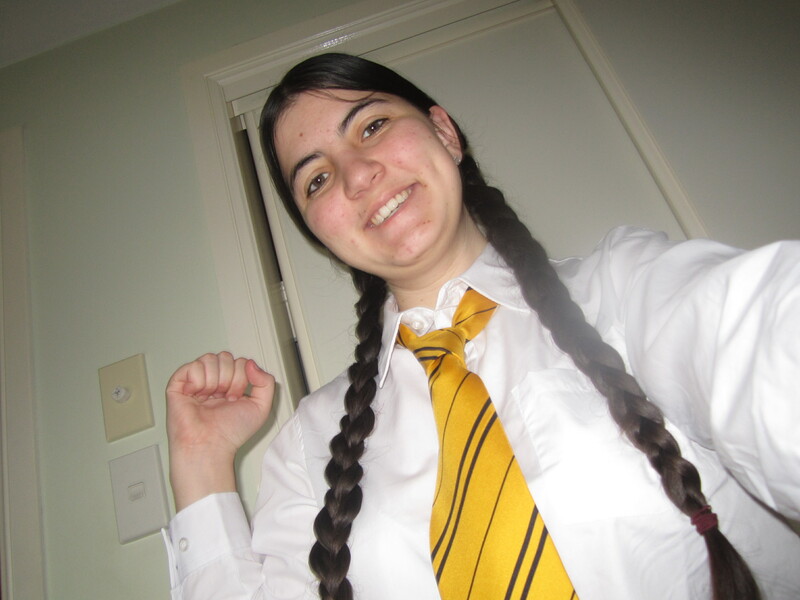 Once the hype of Supanova had subsided, it was time for International Harry Potter Day on May 2 which was mega awesome! 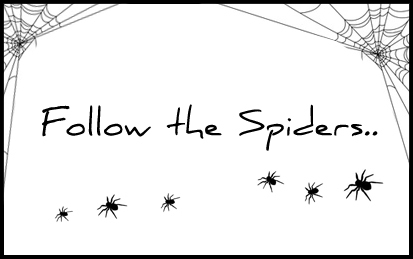 I spent the day at uni wearing my Harry Potter t-shirt and dropping 7 Potter envelopes around campus to advertise my new website. I was careful to place them when (I hope!) no one was looking, so people would just stumble across them as they climbed up and down stairs to bring a bit of excitement to the day. The design was scanned from Film Wizardry, although I used the envelopes here as a template for folding. Pretty awesome. 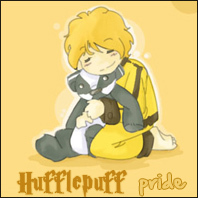 The only difference as they had a kind of Australian Hogwarts crest on the back. I will definitely make more with the proper crest when time allows, although I think next time I”ll try my hand at some real wax seals as I’ve found some tutorials and they seem really easy to make! I also mentioned last time that I had made a Skiving Snackbox to carry with my costume. I started this months ago, but I’ve never got around to finishing it and I do need to remake it. Here’s a photo of what it currently looks like. There are some major dilemmas with it, mainly being because I didn’t have enough cardboard, the top flap is held together at the back with 2 stretched out paperclips; the only box of 4 that I glued in to trial was made too large hence making the gap at the sides too big; and neither of the side flaps would hold shut and hence had to be secured with blue tack to keep it closed. While the inside is painted, and the boxes were made, and the materials were gathered to make the snacks, it was never made because it was already such a disaster – what with despite all my careful management, the boxes still being too big for the inside. Talk about a waste of cardboard and paint? I also had an issue with the paperclips ripping into the cardboard, bubbling it, falling out and generally not looking good. The cardboard wasn’t plain to begin with either, so despite painting it perhaps 4 times with an undercoat, there were still places where the original design on the cardboard could be seen. I think distanced and from the outside, it’s still pretty okay for my first attempt. However, have no doubt I’ll be trying to completely redo this again (once I find the cardboard!) and there will definitely be a tutorial up when I can perfect it, whenever that is. To celebrate International Harry Potter Day, QUT Quidditch also ran an awesome Trivia Night! 🙂 Was swell! My second chance ever to fully dress up in my costume less than a few weeks apart! My group came first in the first round of trivia, but we majorly flopped on the second round with I think only 2 or 3 of 6 bonus AVPM questions being answered correctly. That said – I’ve since watched AVPM again which brings my total complete watches to 2! 😀 LOVE. 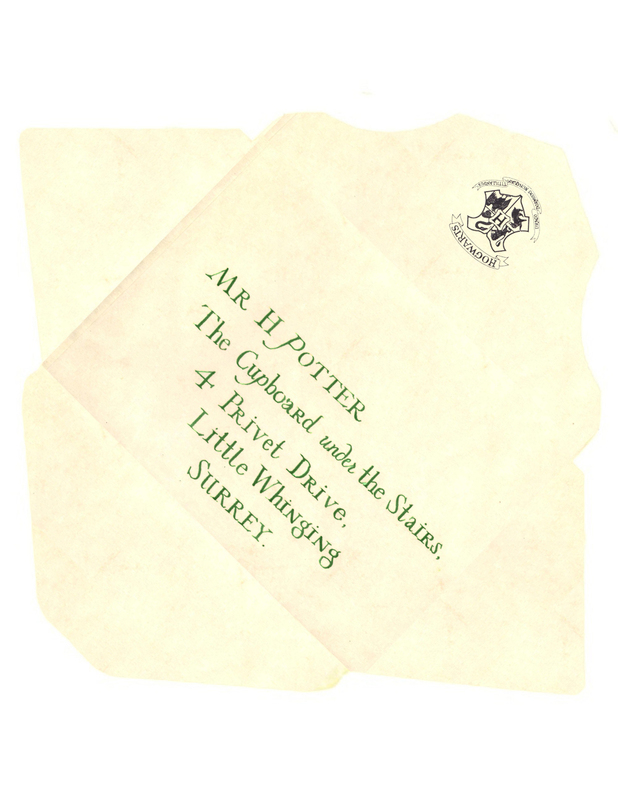 The Potter envelopes with the Australian crest. Find the template here. 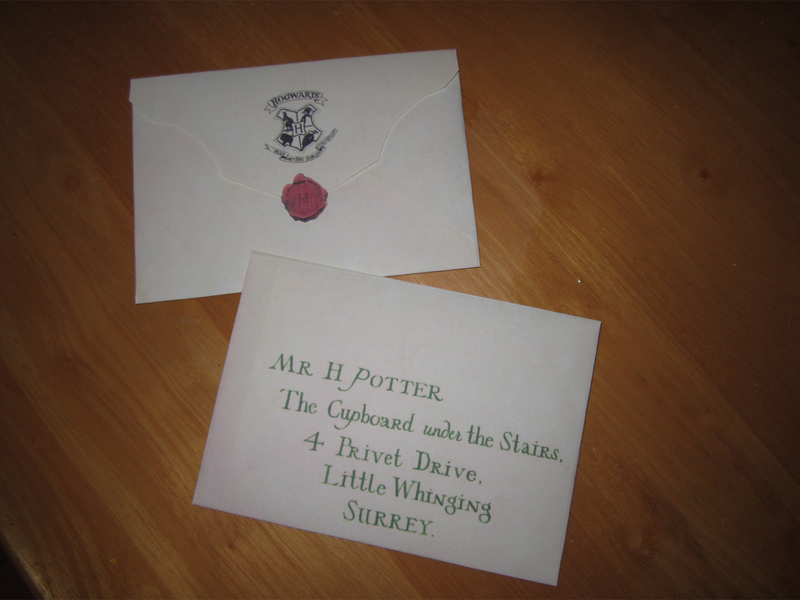 Also, for those that don’t know (apparently I was one of the only one’s that didn’t xD) the RPF is back online at its original address with the HP Paper Props thread in full swing. Apparently I wasn’t looking hard enough for its temporary set up on another forum, there’s some INCREDIBLE work on there and I highly recommend checking it out if you haven’t done so already. 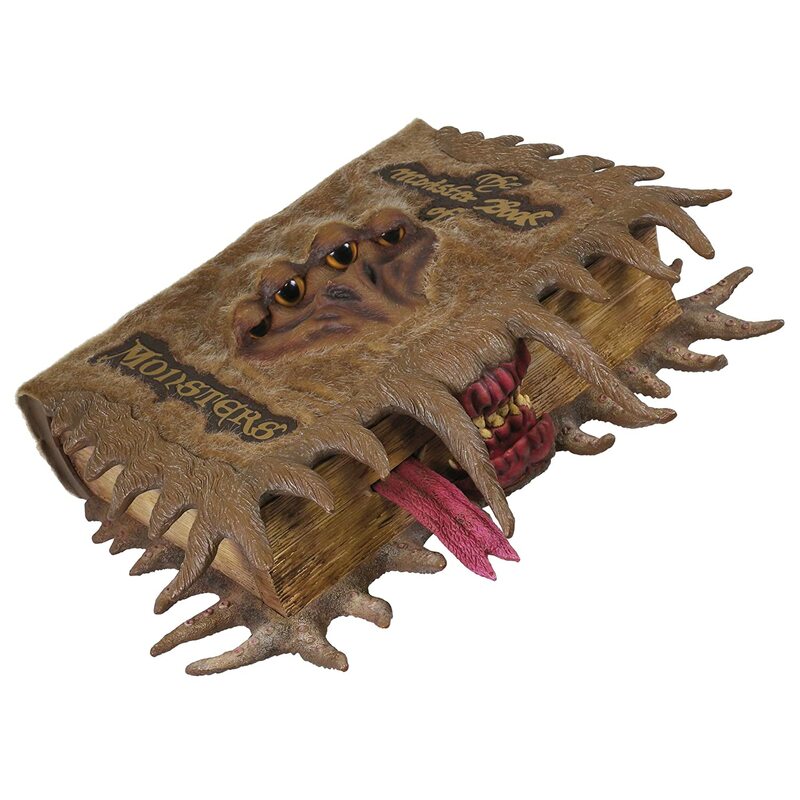 Allllsooo, I totally found this Book of Monsters keep safe box made by Tomy, and I want it. I mean, it snarls at you and won’t open unless you stroke it correctly. 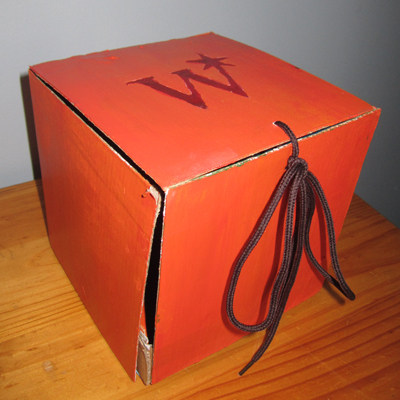 Who knows what kind of Wizard Wheezes products you could hide from the teachers in there? 😀 You can pick it up for around the $40 mark. I also want this Remote Control Tarantula (Acromantula!) to greet my guests as they come up the driveway. Seeing as how, with any luck, they will get this card slipped in the envelope with their invitations. ~ by acciomagic on May 14, 2012.